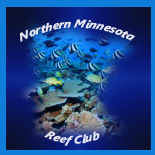 Welcome to Northern Minnesota Reef Club! NMRC is a saltwater aquarium community who's focus is to create a fun and interactive atmosphere for every level of the aquarium hobbyist. We encourage conservation of corals through coral propagation as well as advancing knowledge of the coral reef and saltwater reef aquariums by working together and sharing information. Enjoy beginner to advanced reef discussion as well as buying, selling, and trading of reef coral, reef fish, live rock, and aquarium supplies. It is our privilege to have you visit us at NMRC and we hope that we become your saltwater community home! Post all your DIY projects or questions here. Post all of your tank shots here!!! We want to see them!! A general forum to talk about reef aquarium safe/non-safe fish. Use this forum to learn the in's and out's of fragging and share your tips with others just learning.